Our luxuriously-lined real leather boxes make ideal presents, especially for a significant family event such as a christening or wedding. 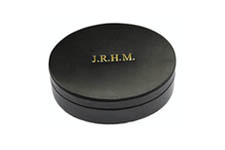 When embossed they provide lasting souvenirs of a memorable occasion. 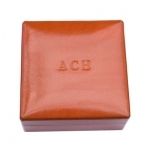 The prices of our Leather Boxes below include a Gift Box and Ribbon. Choose from Deep Aqua, Pink, or Pale Blue below, or let us know when ordering if you do not require this service. Explore the full range via the buttons on the left.